With Live TV Streaming App,you can enjoy almost everything you can on TV. But these apps always more than a TV because of their extra services, you can enjoy live sports and tons of shows and movies. You can control when and what you want. There are a lot of Live TV Streaming apps on Windows Store.We collected the best of them. 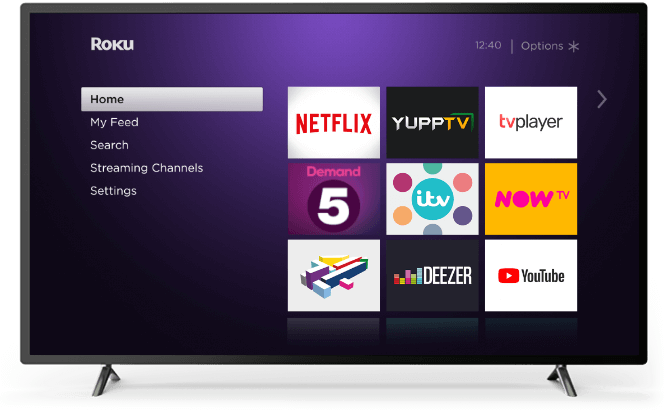 Roku is a tool for steaming TV,it doesn't provide shows or movies or something live.,but it connects to live TV streaming services. After you install the app ,you need an account to activate.,then you can search whatever you want to watch. Roku gives you access to 4000+ free and paid channels,they are provided by "netflix","tvplayer","hulu",etc. America's #1 Live TV Streaming Service. With over 150 available channels and 10,000 hours of video on demand, Sling TV gives you the ability to customize your lineup with base services and extras including sports and shows from ESPN, Disney, AMC, CNN, HGTV, FOX, NFL Network, FX, NBC, ABC, regional sports (where available) and much more. With streaming local television stations (varies by location), you'll find that Sling TV to be more than adequate when paired with your favourite subscriptions.